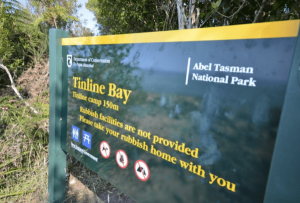 A sound system has been installed on Fisherman Island (Motuarero-iti) in the Abel Tasman National Park to encourage sooty and fluttering shearwater to take up residence. Shearwater calls will be broadcast at night from a speaker on the island to attract young birds to the area in the hope they will breed there in years to come. Project Janszoon ornithologist Peter Gaze says since mice were eradicated from the island it has been entirely free of predators. “Sometimes our birdlife needs encouragement to re-establish in areas that are now safe from predators. With seabirds such as sooty shearwater and fluttering shearwater (tītī) it may be as simple as broadcasting their calls from safe sites to convince them that their mates have already taken the plunge,” he says. 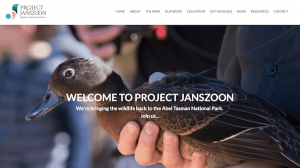 The sound system is similar to one that Project Janszoon installed on cliffs on the Awaroa headland last year to encourage shearwaters to nest on the mainland. 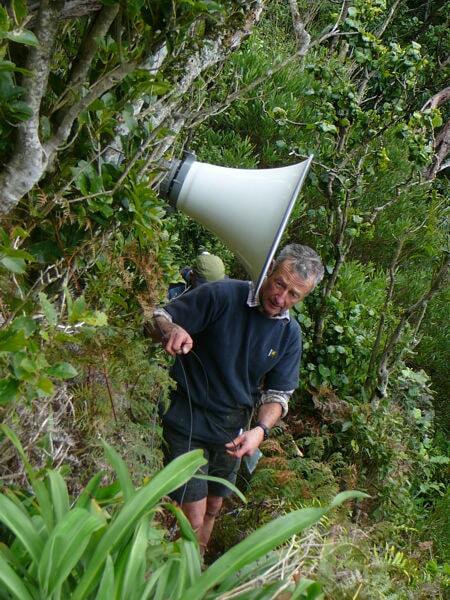 A team including Peter Gaze, Joy Shorrock and Ngarangi Marsh representing Ngāti Rārua and Te Ātiawa, Department of Conservation representatives, and a volunteer from the Abel Tasman Birdsong Trust erected the Fisherman Island sound system on Friday. Joy Shorrock says the group noticed that robins (toutouwai) have recently colonised Fisherman Island from nearby predator-free Adele Island. “To see that the island is now a safe haven for birds is very special. 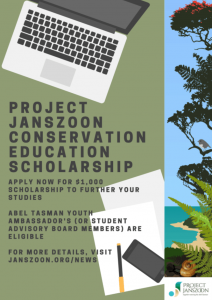 We support what Project Janszoon is trying to achieve and look forward to seeing the results,” she says. Although these shearwaters are seen around the Abel Tasman Coast each year, only small colonies have survived in Tasman Bay, including a few birds on Tonga Island. Any new colonies in this area will need to draw on an overflow from some of the more productive colonies on islands in the Marlborough Sounds. “Re-establishment of colonies in the park would not only be good for the birds but for the whole community of plants, invertebrates and lizards that thrive in such nutrient rich environments,” says Peter Gaze.